...at the day of old crafts at the State Stud Celle on saturday, 22th september the “association of friends and employees of the State Stud Celle” invites you to the “Day of old crafts“. On the spacious ground in the heart of the old residence town of Celle you can watch handcrafts at work. 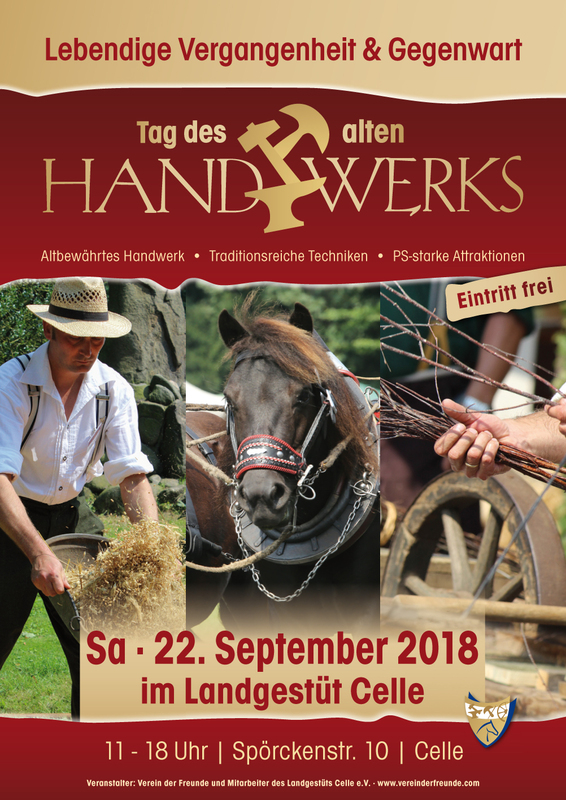 For more information visit the homepage of the “association of friends and employees of the State Stud Celle”.